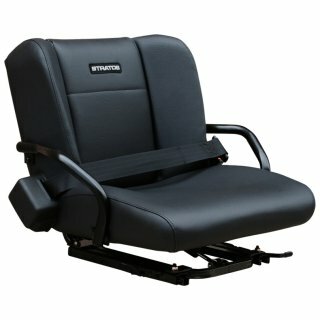 The Stratos 744 forklift suspension seat is a popular choice for forklifts and aircraft tow tugs. The flatter and wider backrest design accommodates all shapes and sizes and can be installed with an air lumbar adjuster (optional). The Stratos 744 features hip restraints for side support and the backrest shape offers excellent support for drivers especially during reversing. Available with bolt patterns to suit Nissan, Yale and Hyster.